Starting a business is never easy no matter what industry you’re operating or want to operate in. 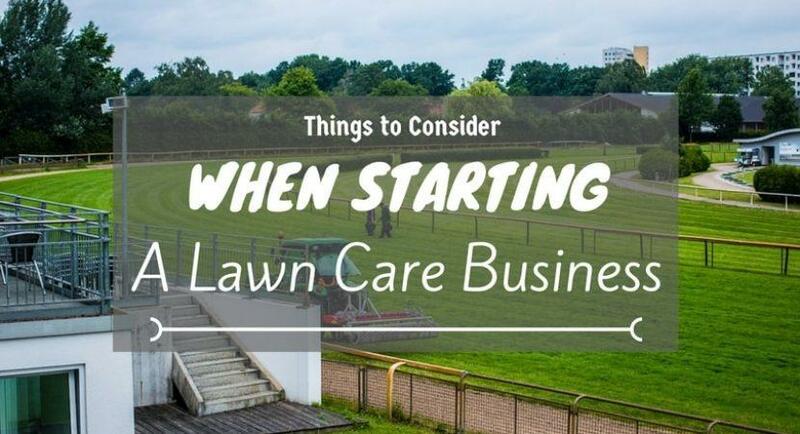 Starting a lawn care business requires careful planning and effort before establishing a steady client base. So with that in mind, let’s discuss the considerations that need to be addressed before going into business for the first time. To run a business, you need to apply and be granted the proper permits and licensing so you can pay the necessary taxes. Remember that the requirements differ in each state. You can find the requirements on the SBA.gov site but to make sure that you're getting your business permits and licenses correctly, ask for confirmation from your local tax revenue office or local county clerk. You need to let your customers know what you can do for them. As such, it is important to define the things that your business is capable of doing, and what you cannot do. Don't offer a service if you don't have the equipment for it or the experience to carry out the service. For example, unless you have enough lawn mowers and manpower, don't take service requests that exceed the resources you have readily available to your business. Instead, put a cap on service requests per day. Investing in lawn mowers can be quite expensive. A gas-powered lawn mower costs at least $250. Unless, of course, you're going to use manual lawnmowers, which still costs about $100 but this cheaper option is much more harder to operate and isn’t cost-effective in the long-term for large operations. It’s also worth noting that you should be purchasing lawnmowers that match industry standards in terms of quality. Hardware retailer Screwfix showcases a selection of self-propelled rotary petrol lawnmowers that meet the relative industry standards needed to undertake such tasks while offering the buyer stone-clad warranties. Don't be afraid to start small. The best thing about the lawn care business is that you can expand your list of services over time. You can buy more equipment with the money you generate from the business, as well as the skills you develop in the future. Before your company begins to grow, you should make a point to insure your business first. Policies will differ depending on the provider but you want to have something to fall back on in case an accident involving your staff happens or your equipment breaks down. As previously mentioned, machinery isn't cheap and investing in it requires a lot of money. Lawn care also involves making people work under the sun or in inclement conditions so it's important to get policy that covers them as well as yourself. Technologies evolve, which means the equipment used in mowing lawns change overtime, as well as the techniques used. Keeping up with the times not only allows you to expand your services but could also save operational costs. Technology makes work easy and efficient, and new equipment may mean you can accomplish tasks quicker. Green Industry Pros and Lawn & Landscape provides good research materials for keeping yourself updated with the lawn care industry.